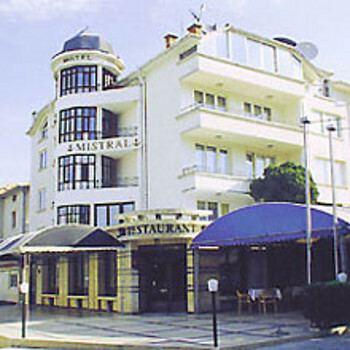 The Minstral Hotel is centrally located within the city of Nessebar and still just 350m from the beach. A fitness centre, sauna and hydromassage are included among the facilities available to guests. A clean but basic twin room,both beds were uncomfortable. A choice of cooked or bufet style cold food available each day for breakfast. Staff in the cafe bar had a couldnt careless attitude when they could be bothered to serve you. Several guests also spoke of the staffs lack of friendliness and choose to eat and drink in the many other cafes & bars.